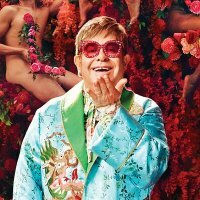 Elton John fans must think it's nearly Christmas (oh, it is) - first off, their idol announces open-air concerts for next summer, now he's added two arena dates. The best bit is, Elton has described them as 'warm-up' nights - whaaat! If that's merely warming up then heaven knows what he's got planned for Shrewsbury, Northampton and Brighton next June! Tickets are still available for those by the way (a few cheaper seats have sold out, though), but coming out at 9am this Friday are tickets for Cardiff on 8th June and Glasgow on 10th June. The price for each concert is £35 plus the usual fees and demand is expected to be very high. Elton John hasn't played Cardiff since 2005 (around the time of his "Peachtree Road" album) so expect the odd delay here and there as online-traffic increases. Unlike his recent Electric Proms appearance, John has promised over two hours of back-catalogue classics (as well as tracks from his Leon Russell collaboration, "The Union"). Next month, on 15th Dec, the singer-songwriter appears in Dublin with percussionist and long-time collaborator Ray Cooper for the first time in Ireland for just over 30 years - tickets are selling fast (from €65.70). Tickets for the - ahem - two warm-up dates go on sale at 9am tomorrow (Friday 5th November).